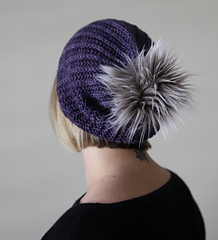 The Off The Cuff Hat is based on the cuff design of my favorite store-bought sweater. The stitch pattern is a simple rib with a nod to brioche. 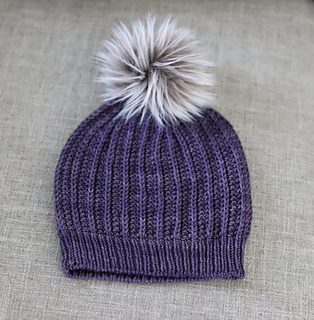 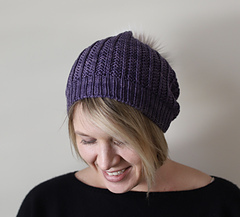 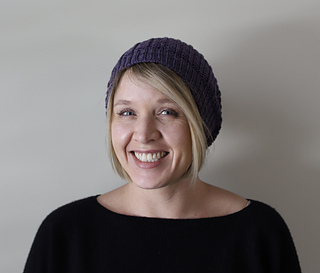 This hat knits up quickly in Queen City Yarn’s Biddleville DK and makes a super squishy warm and perfectly slouchy hat. 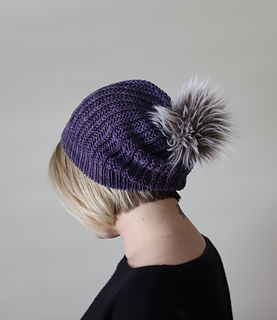 This pattern shows best with tonal colorways but also looks great when knit with handpainted skeins. 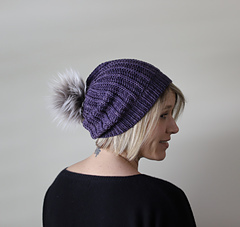 Have some fun with it and top it off with a faux fur pom!